View of the ocean. Everything that one could need is already there. Beautiful house. Alana is an attentive host. The view of the sea. Even though it rained and hailed all weekend we were warm and cosy. Had games(provided) to play. personal attention by host, house was very clean and comfortable with all the facilities one could wish for. Easy access to restaurants, walks and historical Simonstown. fantastic guesthouse, feel like at home, very comfortable and clean. The living room is super big. The view of the balcony is wonderful. we can see sunrise every morning. Very silent neighborhood. Strongly recommend!!! Hostess was fantastic and the facilities great. Lots of nice complimentary extras/equipment. Beautiful sea views. Easy access to sea resorts and cape town. Lock in a great price for Seabreeze Luxury Two Bedroom Self Catering Penthouse – rated 9.6 by recent guests! 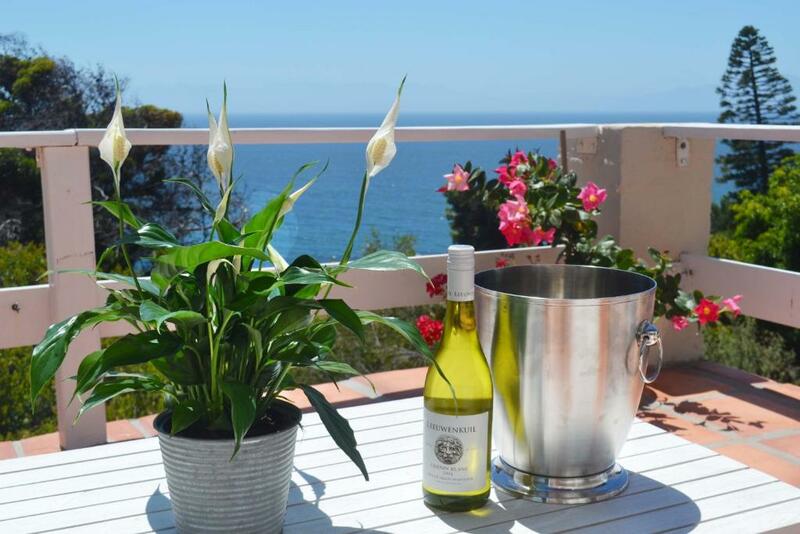 Located within 2,800 feet of a swimming beach, Seabreeze Luxury Two Bedroom Self Catering Penthouse is located on the outskirts of Simon’s Town. Overlooking False Bay, this property is 0.9 mi from Boulders Beach and the renown African Penguin Colony. Seabreeze features a fully-equipped kitchen and a spacious entertainment deck equipped with outdoor furniture, BBQ facilities and a hot tub. Each of the spacious bedrooms has an private bathroom with a shower and a bath. The property offers a living area equipped with a satellite TV, a dining area, and a private bar area. Free WiFi is provided throughout the property and free on site parking is available. 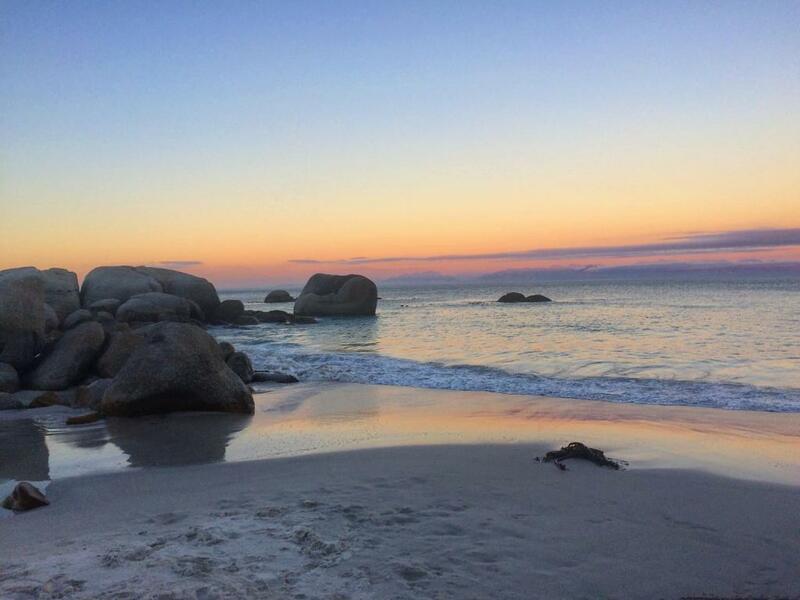 The Cape of Good Hope is 14 mi away from Seabreeze, while Cape Town International Airport is within 29 mi. 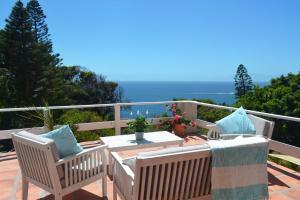 뀐 Located in the top-rated area in Simonʼs Town, this property has an excellent location score of 9.1! 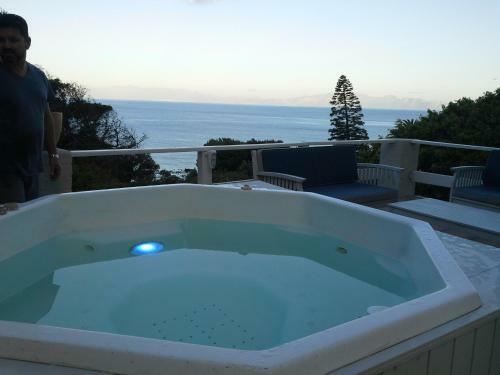 When would you like to stay at Seabreeze Luxury Two Bedroom Self Catering Penthouse? on arrival you enter into the living area level. The kitchen leads into a dining room /lounge (open plan). This area has 2 x 3m stacking doors which give the most stunning view. 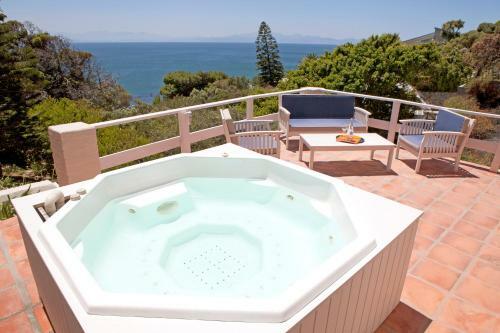 They lead out onto the jacuzzi deck where you can bbq in the built-in braai while popping in and out of the jacuzzi and catching a tan. Stunning views!!! The Villa is situated in a little valley along side a winter mountain stream. On this level you also have a TV room/ bar which is great if you like a few Gins & Tonic after a busy day of sunbathing. Upstairs is the master bedroom with lounge, walk in closet & full en-suite, also with two 3m wide sliding doors and magnificent views from your bed. The 2nd bedroom is smaller, also has a sliding door leading onto the verandah. This room has a small seating area and en-suite. Both bedrooms can have Twin Beds or King Size. 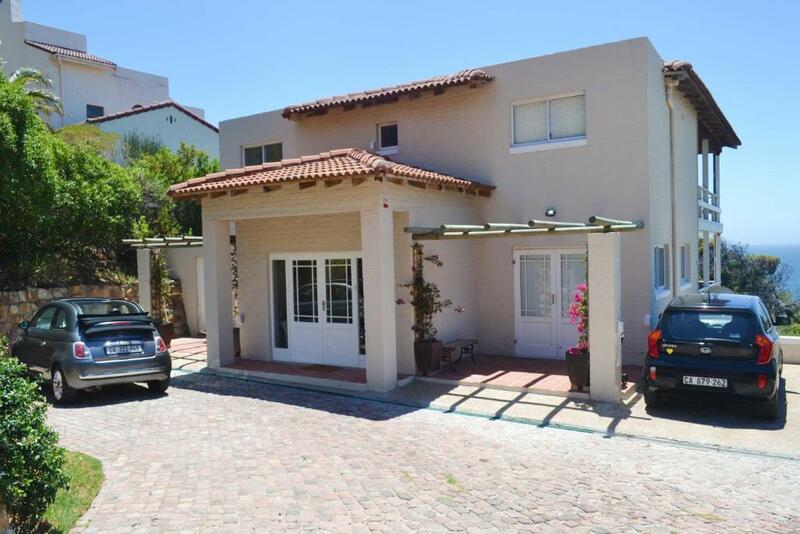 We are Adrian & Alana Fourie,, ourselves and our 20 year old daughter live in the 2 bedroom garden flat while we rent you the main villa/Double Storey Penthouse. I run a small tourism and events business and my husband is in fuel quality management. We live a quiet life but love to travel. We like to socialise and Adrian's a big sports fan. 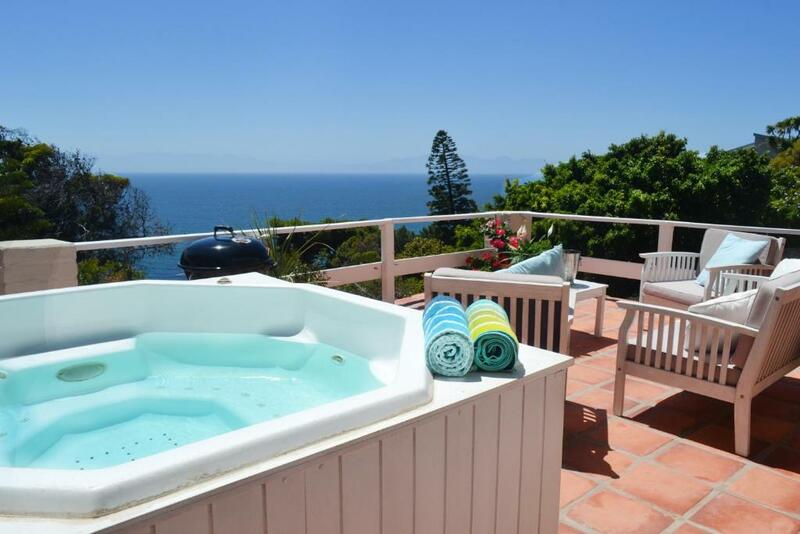 Seabreeze Villa is situated in the a quiet valley, Murdoch Valley, about 3.5km outside of Simons Town town centre in the direction of Cape Point. Its a quick down hill walk to the lovely Fishermans Beach below. The Penguins are also close by, approx 2km. Simons Town has a lot of history with lovely museums and places of interest. It is also blossoming with new restaurants and coffee shops. Boat trips and shark cage diving are all within 5km. The town is one of the safest in South Africa but even so, the the accommodation has an alarm system that when set, has outside beams so that you can sleep with doors and windows open if you wish. Being in a little valley, the position is perfect as it is more protected from the wind than most other properties in the area and is pretty private too. House Rules Seabreeze Luxury Two Bedroom Self Catering Penthouse takes special requests – add in the next step! 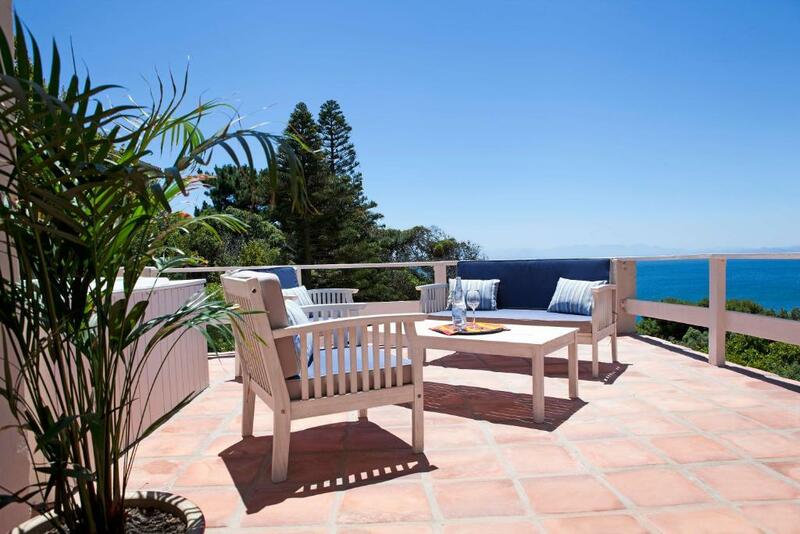 Seabreeze Luxury Two Bedroom Self Catering Penthouse accepts these cards and reserves the right to temporarily hold an amount prior to arrival. Please inform Seabreeze Luxury Two Bedroom Self Catering Penthouse of your expected arrival time in advance. You can use the Special Requests box when booking, or contact the property directly using the contact details in your confirmation. Perfect place to enjoy some holliday time! Lovely roomy villa with great veranda over looking Boulders Beach. Great hot tub on the veranda. Couldn’t fault anything Alana the owner couldn’t be more helpful. The location is not on walking distance of Simon’s town, but we took an Uber in the evening to go out for dinner. A huge villa overlooking the sea, specious, fully equipped kitchen, barbecue facilities and a jacuzzi on the terrace. Our host & hostess provided far more than expected. Washing liquid, soap, dustbin bags, charcoal for the braai, flowers/ plants in every room, casual blankets. The decor was tasteful& elegant & the penthouse was extremely spacious. Our of the sea was also fabulous & our hosts relaxed bit happy to assist where required. Great apartment, facilities and space to spend a good few days. Considerately furnished and well equipped, fantastic views and very friendly and efficient host.